TORONTO — The Toronto Argonauts have signed International LB Akeem Jordan through 2019, the team announced on Tuesday. Jordan was set to become a free agent next week. 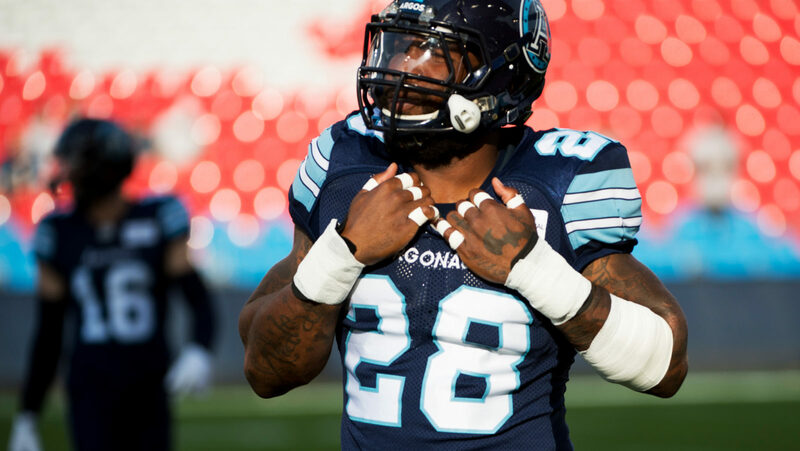 Jordan, 33, signed with Toronto previous to the 2017 Grey Cup season and over two years in Double Blue has compiled 41 defensive tackles, nine special teams tackles and one forced fumble in 19 games. Previous to his time in the CFL, the James Madison University product spent eight seasons in the NFL between 2007-2014. Jordan’s first six NFL seasons were played in Philadelphia where he was signed as an undrafted free agent before moving on to Kansas City and Washington for his final two years in the NFL. The 6’1, 255-pound linebacker played 100 games in the NFL, starting 44 and made 330 tackles, had 24 tackles for loss, four forced fumbles, and two interceptions.